Libra money horoscope for 2016 is right here! Find out if your income and expense will be balanced this year or whether you will have extra cash to splurge! You are in a period of strong financial influence in your life, at a point where spending appears to be necessary. 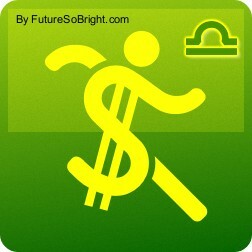 Libra sun sign also need to earn a great deal of money at this time to keep everything working. You must be careful that whatever you take on is within the scope of what you can complete. The 2016 Libra financial astrology predicts that there might be limited cash flow during this year but with a little good fortune there may be a small influx in the mid-part of the year. Extreme caution is advised in making any long-term plans in regards to money this year. It may be a waiting game for you right now.